← Fullsteam 2nd Anniversary Party – August 11th! 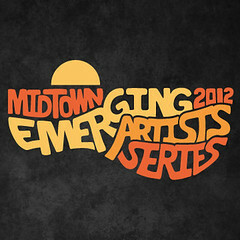 If you are looking for free live local music take note, North Hills is getting readyto kickoff the second year of their “Emerging Artists” series tonight. The music series features local bands and solo artists playing on stage every Friday from 6-8pm during August, September, and mid-October. The performances will take place outside next to Fountain Park located at the base of the Captrust tower, just outside of World of Beer who usually sets up a small beer tent to serve the audience.